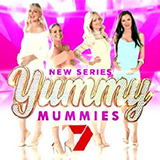 Yummy Mummies is a TV show on Australian national television from Seven with an average rating of 4.1 stars by TVCatchUpAustralia.com's visitors. We have 12 episodes of Yummy Mummies in our archive. 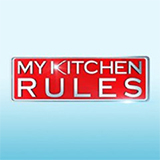 The first episode of Yummy Mummies was broadcast in September, 2018. Did you miss an episode of Yummy Mummies but don't you wan't that to happen in the future? Please set an alarm and add Yummy Mummies to your favourites, so we can remind you by email when there's a new episode available to watch. 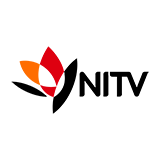 Completely free: handy! The baby casting in Brisbane doesn't go to plan; Jane goes into labour and Carlos has a big surprise for Maria. Yummy Mummies follows four glamorous mums-to-be navigate pregnancy and make elaborate plans for motherhood with outrageous opinions of what to expect while they're expecting. The Yummy Mummies are in Brisbane for a baby casting which doesn&rsquo;t quite go to plan. Carlos has a big surprise for Maria. It's supposed to be a classy lunch and they should be making peace, but one jaw-dropping comment will trigger an all-out war. Margherita persuades Maria to get a nanny and Lorinska hosts a sip and see. The Melbourne girls try to bring on labour for Lorinska who is overdue, who is stressing over house renovations instead of nesting. What do you do with the placenta after giving birth, and is this the first time Maria doesn't get her way? It's the Yummy Mummies event of the year, but there's news that's going to cause a huge shock, and an uninvited guest could spoil the big party. Maria and Carlos indulge in a photoshoot on their 'babymoon'. Meanwhile, the girls get down and dirty trying to get Lorinska over her breastfeeding phobia. Maria celebrates her baby shower, with the Melbourne Yummy Mummies in attendance.